It was a shock, a civic embarrassment. Everyone knew about the crescent-shaped swath of neighborhoods that struggle, but recognizing the true, dire depth and community cost of intergenerational poverty was a reckoning. What they did planted the seed that has grown into Meck Pre-K, a countywide program funded by the Mecklenburg County Commissioners through a property tax that pays for high-quality preschool where children will learn with a licensed teacher and teacher assistant. It didn’t happen overnight. And it didn’t happen in isolation. Trevor Fuller, then chair of the County Commission, spent most of 2015 meeting with everyone he could. “It became clear that early childhood education is a key to unlock so many of these problems. My North Star is every child, birth to 5,” he said. Fuller became an early-childhood-education evangelist. And he quickly learned that it must be framed not as a cure to poverty, or simply as the right thing to do, but as a significant driver of economic development for all. “I think folks across the political spectrum understand,” said Michael Leighs, policy officer for NC Partnership, the state-level program that oversees NC Pre-K. “The brain science is accepted now. Lawmakers have a high awareness of the return on investment. “You’re hard-pressed to find something with as strong a return on investment as early childhood education,” Leighs said. One reason it’s so effective is biological: Children’s brains are making 1 million neural connections every second during their first few years, according to Harvard University Center on the Developing Child. Nobel laureate and University of Chicago economist James Heckman has made a career of studying early childhood education and its effects. He has found that high-quality early childhood education, from birth to 5, gives a 13 percent return on investment. “Quality early childhood programs for disadvantaged children are not entitlements or bottomless wells of social spending. They are not government boondoggles. The investments we make today in disadvantaged young children promote social mobility, create opportunity and foster a vibrant, healthy and inclusive society and economy,” Heckman said in a 2014 speech at the White House. This isn’t baby-sitting, nor is it a strict academic classroom for toddlers. Early childhood education revolves around social and emotional development, creative arts, scientific thinking, social studies and technology — skills that benefit a child over her lifetime. These skills lead to higher wages, better health and less participation in crime. “For too long the conventional wisdom in education and in policy circles has been to measure success in education and in preschool simply by achievement test or by the ability of students to show up on a measured academic performance at some stage in their life,” Heckman said in the 2014 speech. “And yet, what we understand is that when early childhood interventions were judged solely by the success in boosting IQ, in many cases they fail. But what we’ve come to understand is the much richer set of skills that are required for success in life and what successful preschools are building,” Heckman said. “So grit, persistence, impulse control, self-awareness and sociability can be taught at very early ages and these have enormous payoffs,” he said. 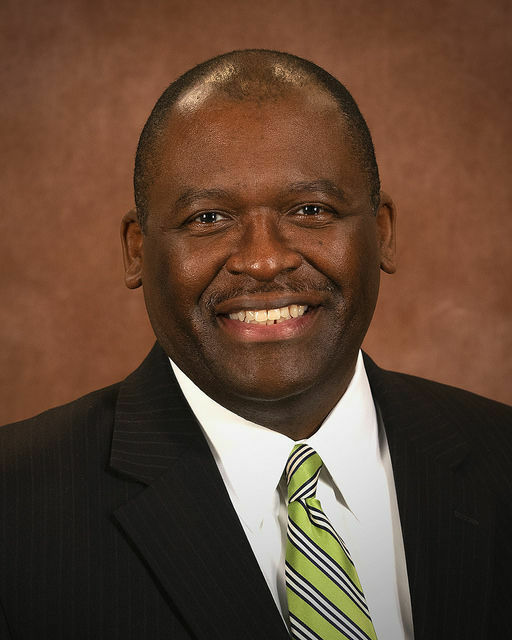 Commissioner Fuller issued a clarion call in his February 2016 “State of the County” address: Mecklenburg County must make sure every child, from birth to 5, had access to quality education. “Having that early call to action galvanized the community,” said Shawn Heath, a vice president of Duke Energy. “There was a clear, burning platform priority. By the end of 2016, momentum was building for Mecklenberg County to create what today is Meck Pre-K, serving roughly 600 children in more than 33 classrooms, with plans for many more. The County Commission embraced the idea. On Dec. 20, 2016, it issued a resolution calling for education for all Mecklenburg County children from birth to age 5. The declaration detailed the myriad benefits, and the local need. Among them: Only 40 percent of Mecklenburg County third-graders read proficiently — a key economic mobility indicator; very few kids receive early childhood education; brain development happens most quickly in our earliest years; and, at the time, more than 2,660 young children were on the waiting list for existing education programs. The effort was starting to take shape, but County Manager Dena Diorio, who had become a relentless advocate, knew turning a necessity on paper into a real, funded program would require case-building, transparency and relationships. “The county couldn’t drive this by ourselves,” she said. When it came to funding, however, “If it wasn’t us taking this on, it wouldn’t be anyone. “This is a tremendous legacy for the commissioners,” Diorio said. The Opportunity Task Force released an in-depth report in spring 2017 that identified areas directly affecting a person’s economic and social mobility in Charlotte-Mecklenburg: college and career readiness; child and family stability; and early care and education. They found that the impact of segregation and shortage of social capital undergirds all other ills. Diorio and Fuller knew that politically, and practically, business leaders needed to be convinced that Mecklenburg should create, and pay for, its own program. Any local effort would be doomed if economic groups, who were reliably skeptical of tax increases, were against it. They went to the Charlotte Executive Leadership Council and made the business case: Investing in young children today pays off for decades. Consistent employment requires access to reliable childcare; it helps employers attract and keep talented employees; it reaps benefits by costing less in the criminal justice and court systems. Invest in early childhood education. It works. Diorio put together a committee — the Mecklenburg County Early Childhood Education Executive Committee — to deeply examine whether a county program was needed, and how it could succeed. The group issued an exhaustive report — which became the effort’s “bible” — in September 2017. Support was built person by person, focus group by focus group, organization by organization. Businesspeople, civic groups, parents, educators. Talking about the brain science, the academic studies proving the connection between early childhood education investment and economic development, the perpetual list of 4-year-olds waiting for a subsidized spot in preschool. Nearly 90 percent of respondents expressed support for expanding access to high-quality early care and education programs. More than two-thirds of respondents said they would pay an extra $10 or $20 per month in taxes to increase access to high-quality child care and voluntary, universal public pre-K for 4-year-olds. 93 percent agreed that the key to providing high-quality public pre-K is a teaching workforce that has the necessary education and training. “It was an overwhelming ‘yes’ across all demographics,” Diorio said. The community had the will — now county leaders had to find the way. Foundations and corporations can offer scholarships to preschool staff workers who need to get their bachelor’s degree or an early childhood education credential, and they can give stipends to boost pre-K teacher salaries. But the main money stream must be steady, under local control and predictable, Heath said. “There’s not an appetite for sales tax in the county,” Diorio said. “The property tax is more consistent than a sales tax, too. They considered a consumption tax, a special sales tax for early childhood education, a general sales tax, asking for state funding, a bed tax or something similar. The commissioners spent $6 million from the general fund in fiscal year 2018 to reduce the child-care-subsidy waiting list in existing private centers. The increase helped, but the need remains. According to a February county progress report, roughly 2,100 children under 5 await a spot in a public pre-K. The board passed a three-quarter-cent property tax rate increase specifically for early childhood education, which added $9 million specifically for Meck Pre-K, which now serves about 600 young children in 33 public Meck Pre-K classrooms in 20 child care centers with plans to expand. Eligibility for Meck Pre-K was first set at 220 percent of the federal poverty line (about $54,000 for a family of four), purposefully higher than the other available programs to cover more families. Eligibility has been increased to 300 percent of the federal poverty line, or $77,250 for a family of four. Meck Pre-K’s goal is to serve almost 5,000 children in 275 classrooms by the program’s sixth year. If that happens, roughly 9,600 of the total 12,000 Charlotte-Mecklenburg children 5 and under would be in public pre-K, whether that’s through the school district’s Bright Beginnings, NC Pre-K or the federal Head Start programs. Only 4- or 5-star programs are eligible for Meck Pre-K money. Fortunately, that includes most providers in the county, according to Nancy Hughes, executive director of Smart Start of Mecklenburg County, the umbrella organization that also offers programs targeted to broader needs of kids birth to 5, including health and parent education classes. Because members of the task force had ties to local preschool providers — they were valuable for their expertise — Diorio alone decided to partner with Smart Start of Mecklenburg County to operate Meck Pre-K. Parents and children shouldn’t see much of a difference in the classroom between the providers. Meck Pre-K is taking applications to enroll its second cohort of 4-year-olds, who will begin classes later this summer. “You’ve got to start a kid out right if you’re to have any hope of helping them,” Commissioner Fuller said. Meck Pre-K’s creators knew they would be scrutinized from all sides. Their mission of investing millions in their youngest is backed by brain science, and economic and educational research. But this involved the third rail of civic engagement: a property tax increase. “We had a little bit of luck -- and a lot of strategy,” said Tameika Leslie, Mecklenburg County’ project manager for early childhood education initiatives. Talk to everyone. Educate the community. Invite people and groups to help. Early childhood education is an economic development issue. It’s about opportunity, not poverty. It’s about growth. Make it part of your community’s culture and what people talk about. For example, a photography exhibit exploring gentrification in a black neighborhood at the Harvey Gantt Center for African-American Arts & Culture refers directly to the economic benefits of early childhood education. Put your classrooms and subsidies where the need is, near struggling schools and in neighborhoods without high-quality child care. Use out-of-county experts to evaluate program applications. Pay for programs, not buildings. Build in evaluation metrics from the start. Lessons from another conservative state.